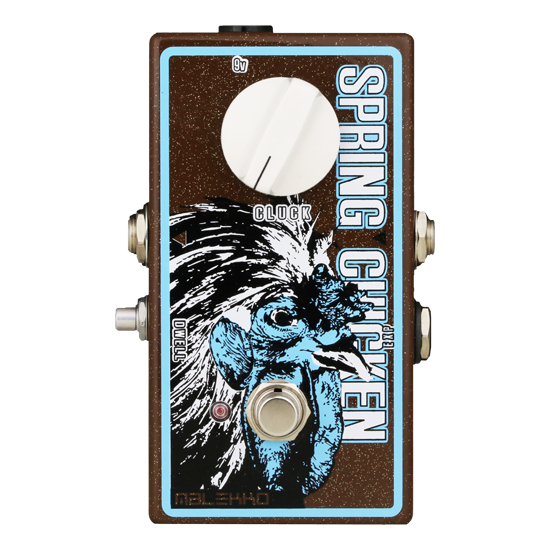 The SPRING CHICKEN spring reverb has two knobs: “Cluck” adjusts the level of reverb and the legendary “Dwell” knob on the side of the pedal controls the amount of bounce, length as well as wet signal. 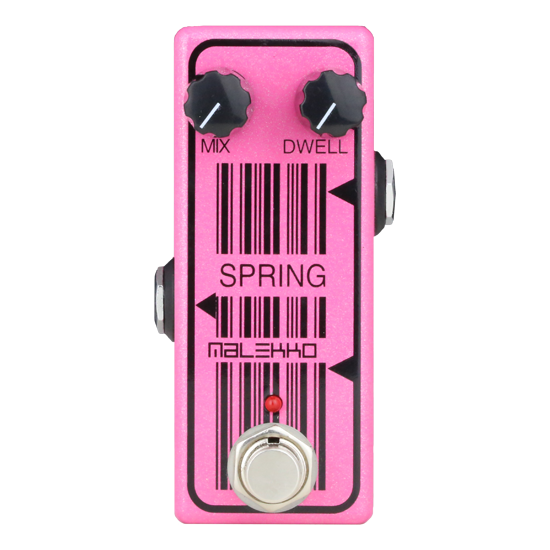 Plug in an expression pedal for hands-free control and create giant swells and wild oscillations. From classic beach vibes to extreme cavernous depths, this Chicken is finger licking good. Since the dawn of time, musicians have tried to cram a giant spring reverb into a tiny enclosure. We too have worked tirelessly like watchmakers for many years on this project; spiraling springs into enclosures only to have them pop out like a peanut can full of snakes. But after months of tweaking and testing this very unique bird finally hatched! Also the latest version of Spring Chicken enclosure is locally powder coated and screened. She is looking extra lustrous! Make sure to check out our latest youtube videos on this mad cluck! Current draw is 90mA and operates on a 9V battery or optional 9VDC neg tip regulated power supply. Enclosure size approx. 4.75" x 2.6" x 2.25".